Each year Literature Translation Institute of Korea recognizes translators who have worked on promoting Korean literature to international readers through quality translations. This year, Masuo Omura’s Japanese translation of Lee Gi-yeong’s “Hometown” was recognized as the best translation among 167 works in 29 languages published last year and submitted for consideration. 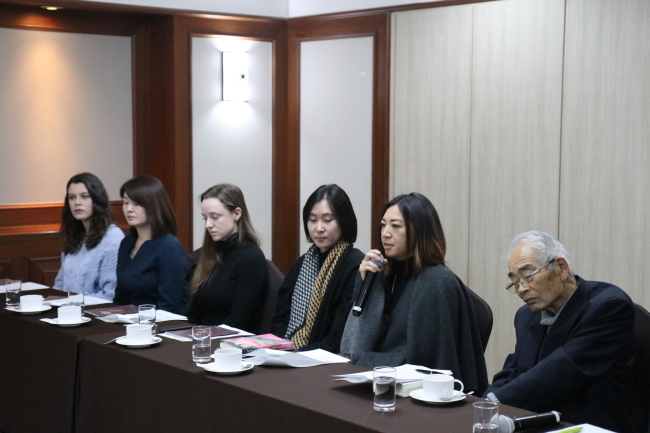 “I have been translating Korean and Chinese works of literature for a long time, but they do not sell well in Japan,” Omura said at a press conference in central Seoul on Monday, a day ahead of the official awards ceremony. “I, however, do not translate books just for sales. I have been working under the belief that someone can study using my books 10 or 100 years later,” said Omura, a Waseda University professor emeritus. Other winners of the Korea Translation award were Janet Hong who translated Han Yu-joo’s “The Impossible Fairy Tale” into English and Lidia Azarina for her translation of Han Chang-hoon’s “I Like it Here” in Russian. 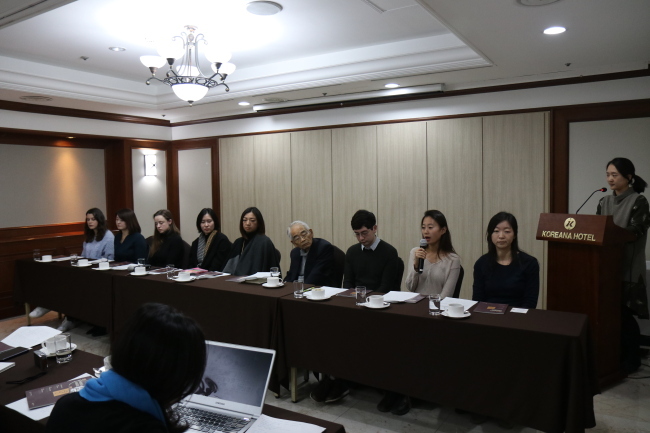 The institution also highlights young up-and-coming translators through the Korea Translation Award for Aspiring Translators. Seven translators were chosen through a contest of translating “Sole Possession,” by Kim Keum-hee. Sean Lin Halbert, one of the winners for young translators, recently became a star in Korea’s literature translation scene. Originally from Seattle, he is currently studying for a master’s degree at the Department of Korean Language and Literature at Seoul National University. He received the Grand Prize for 2018 GKL Translation Award earlier this month for translating “Chef’s Nail” by Yoon Go-eun. “I sometimes wonder about how competent the people who apply for literary awards really are. Some think they can translate because they speak the language. But for literature translation, you need to read books well and understand the intentions of writers,” Halbert said. Beatriz Alonso Macia from Spain, who finished her two-year studies at the institute’s Translation Academy in June, also received a young translator award. “Every year we translated four different literature pieces, one of them was a work by Kim Keum-hee. One of the teachers was a translator who translated Han Kang’s ‘The Vegetarian’ into Spanish,” Macia recalled. “We translated every cultural element into Spanish. We also had Korean culture and literature classes. I actually learned more than I did in university, it was a great opportunity,” she said. Other winners of Korea Translation Award for Aspiring Translators include Lee Eun-jeong (French), Park Ji-hyun (German), Daria Todorova (Russian), Lee Jung-ock (Chinese) and Matsubuchi Yuko (Japanese). An official awards ceremony is to take place at the Korea Press Center in central Seoul on Tuesday night.